Ronaldo out, De Sciglio back from injury, Costa probably still out? 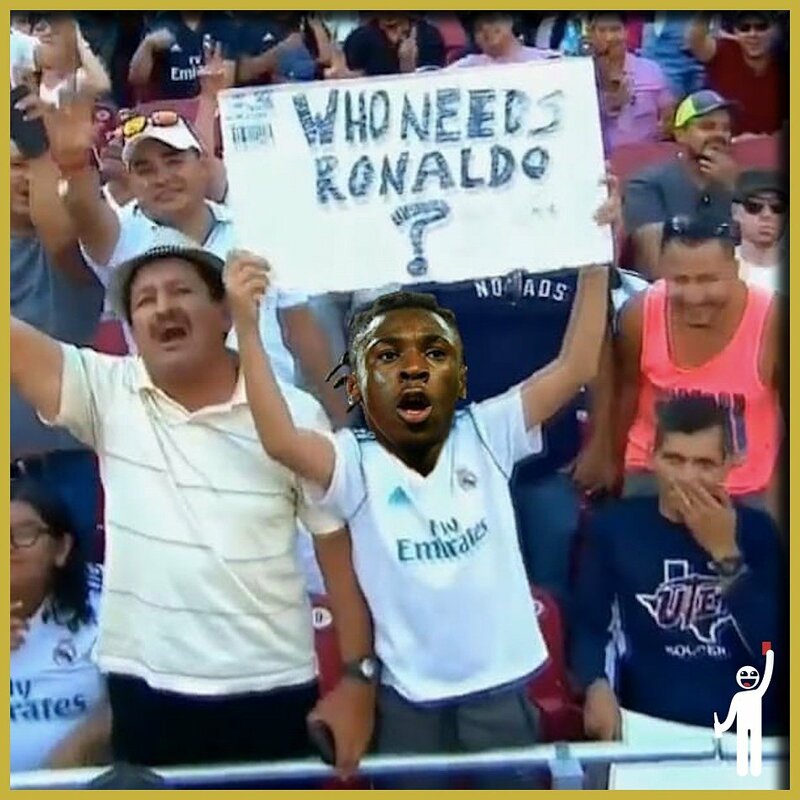 Cuadrado out but not for too long. My main hope is for Kean to get at minimum 30 minutes. Tho I'm hoping for a starting spot, tho unlikely, will be Mandzu, Dybala and Berna. “He had the day off,” replied the Coach when asked about the No 7’s day in Barcelona. “Anyway he’s fine, he’s started moving again but caution is needed because we’re in a delicate part of the season. “It’s better that he misses a game. He’ll return when he’s at his best and there’s no longer danger of a relapse. “Kean must go step by step. He’s a 19-year-old boy, my concern is how he goes on from here, like with all young players. “He needs to stay calm. It’s clear that he has the qualities of a goalscorer, but we have to let him take his normal path and let him grow. My job is to protect him. “All our players have recovered from their international commitments, and we still have a day to go. “Tomorrow we’ll all be in excellent physical condition, but the one that will make the difference is our mental condition. “We must get closer to our objective of the title. Cristiano will have tests on Monday and so will Douglas Costa so they can get back fully for the Champions League. “De Sciglio is available, Cuadrado will be available in about 10 days. As for Khedira, we’ll see next week. “Bonucci will rest tomorrow. In attack it’s likely that Dybala, Mandzukic and Bernardeschi will play. “The mental risk is due to the break, which is a bit of a thorn for us, plus the fact that a 15-point lead can distract us. “Still, we were all angry about losing at Genoa. Tomorrow we need to put in a solid performance. “We need to put in a serious performance, with great respect for our opponents, and win: I demand my team to be tough. “We didn’t have the right ruthlessness in our game against Genoa, which would’ve been enough to overturn the result. “We need five victories: let’s start tomorrow. The game is very important, we have so many challenges from now until April 22, five in the League and two in the Champions League. “Finding ourselves in a vortex like the one we’re in only lasts for a second, so we mustn’t pull the plug now, thinking we’ve already won the League. Allegri was then asked about Daniele Rugani’s new contract, Paulo Dybala’s role in the team and the Bianconeri’s upcoming clash with Milan. “Rugani is a responsible lad and has grown a lot: the club did well to renew his contract,” he added. “I talked to Dybala and he knows he’s important for us. He’ll have a great end to the season. 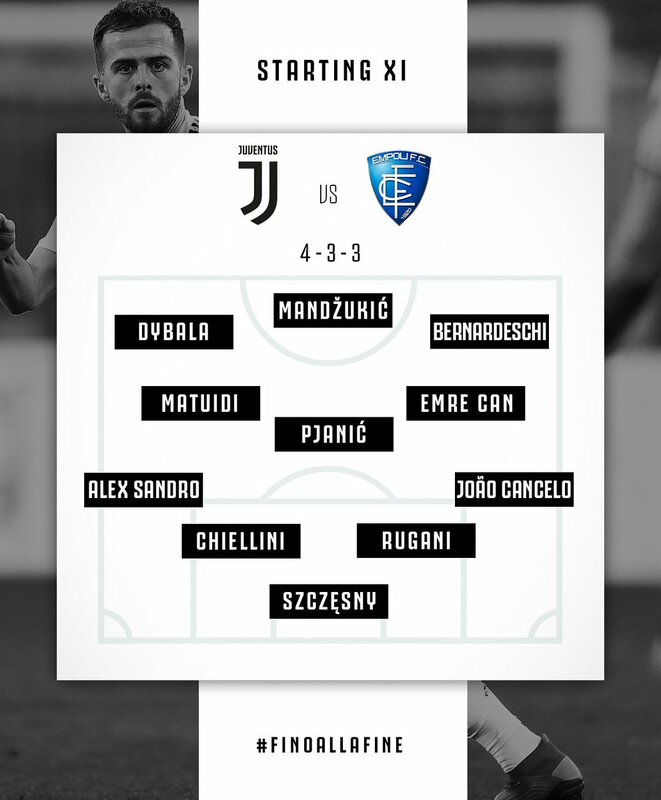 That's not the official lineup, was the expected, dybala got injured before kickoff. 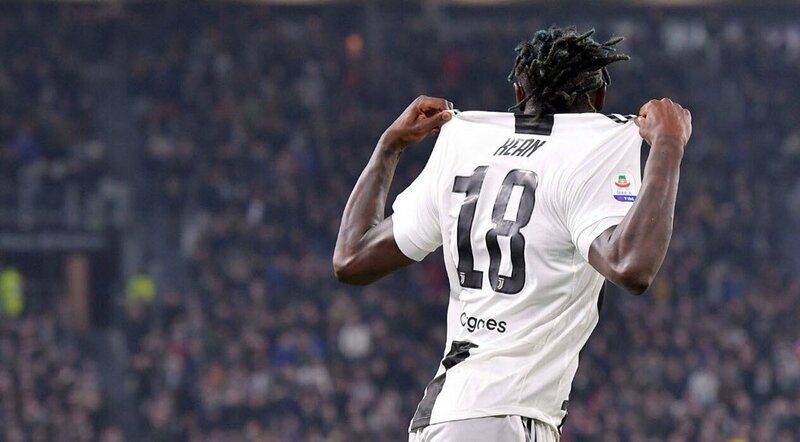 You would think Allegri would start the only remaining healthy attacker in our squad in Kean. Moise Kean has arrived, this kid will be amazing for the coming decade for us. Dont think there is a risk of that now that he is showing he is for real. Its when it looked like he wasnt part of the teams plan I would worried, but now he is getting minutes and scoring, and our are CFs are in their mid 30s, so should be easiest possible contract renewal for him and the club, regardless of who the agent is. It is not a matter of potential/minutes played... remember how we lost on Verratti's signing? Let us say PSG offered him a €6m salary, do you think we can match that? His contract is not out, its about to be renewed, if it was couple months left on it and someone offerred 6m, then I would understand the alarm. But I'm pretty damn sure we will do everything possible to keep him. Progress should be made soon, we have a pretty good rapport with Raiola, all things considered, so I'm not worried per se, but the clock is ticking and we should never let a great prospect like him have his contract wind down to less than a year.